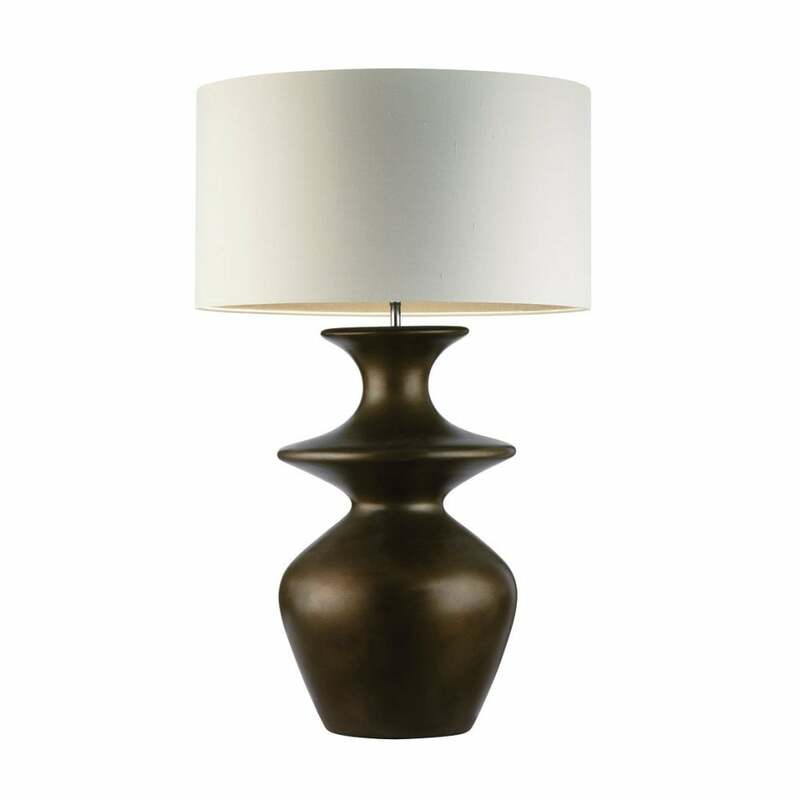 The Aspen Bronze Table Lamp by Heathfield & Co adds a sophisticated touch to a bedroom or corner table. Hand-finished in burnished bronze, the rich tones reflect light, showcasing the skilled craftsmanship. Pair with luxurious jewel colours and art deco style accessories to add depth and glamour to your interior scheme. A wide selection of premium shade options are available. Make an enquiry for more information. Priced for 20" Flat Drum shade in silk with white PVC lining. Please contact us for other options.